MEO is market leader with the best coverage in the country, followed by Vodafone and NOS as smallest net. 2G is on 900 and 1800 Mhz, 3G on 2100 Mhz like all over Europe. 4G/LTE was launched in 2012 on all three networks on the 800, 1800 and 2600 Mhz bands and already reaches the majority of population. All three networks are available in the portugese branches of The Phone House: store locator. Top ups can be made in every payshop agency: store locator Unlike most of the other countries in Europe, portugese MVNOs are more expensive with data than the physical operators. Thats why only one MVNO is presented for other advantages (see below). MEO has the best coverage incl. 4G in the country MEO coverage map and it gives it out to prepaid costumers without a surcharge. 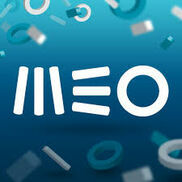 The SIM card is available from MEO stores (store locators) or Phone House (see above). Top ups can be made in many shops e.g. the payshop which has many agencies in Portugal (see Basics). Start up cost for the SIM is around 2.50 € but you have to reload it right away. The sell different tariffs but that doesn't matter which base product you are on as the data packages are all the same. Subscribe by texting the name of package to 12029. The LIGHT and SUPER packs include 200 MB MEO Wifi, the packs of 1 GB and more unlimited MEO Wifi. You can upsize the 5 days pack with 30 MB valid for 24 hours for 1 € by texting EXTRA DIA to 12029. To the 200 MB and 500 MB packs another 200 MB can be added for 3 €. This or 1 GB for 5 € can be added to the packs SUPER PLUS, ULTRA and ULTRA PLUS texting EXTRA 200 MB or EXTRA 1 GB. Vodafone Portugal lets prepaid customers join their 4G network as part as an ongoing promotion in 2014 for free. The SIM cards are available in every Vodafone store: store locator for a few Euros and reloaded at agencies like payshop (see above). To their prepaid cards called Extreme and Easy internet packages can be added. Be aware that they don't sell you prepaid SIMs with a monthly fee (called mensalidade). Subscribe by texting INTERNET <size of package> (digits only, don't add "MB" or "GB") to 1277. For example, texting "INTERNET 1" to 1277 will subscribe you to 1 GB package. The pack will renew automatically every week or month. To unsubscribe call 1277. The SIM is pre-cut to enable you to pop out the size you require easily. Yes. iPhone users can install a profile at http://help.benm.at for Vodafone to enable tethering. Max. speed for 3G is 2 Mbps, for 4G is 50 Mbps. The time based credit stays valid for 90 days, 360 MB for 7 days, 1 GB for 28 days and 2 GB for 56 days. Their SIMs are sold in their stores http://www.nos.pt/pa...s-de-venda.aspx for 9.90 € and can be topped up at many agencies like payshop (see above). Lycamobile Portugal is an MVNO on the portuguese network of Vodafone on 2G and 3G only. The SIM cards are available online on their website to be sent to a portugese address or offline in a lot of agencies like payshop (see above) for free. Advantages of Lycamobile compared to the network operators are not necessarily the rates which a competetive only in promotions, but a fully english website, free calls amongst Lycamobile users, low international rates and the only provider who lets you make a recharge by international credit card online. Their data packs are valid for 30 days and are not on 4G. Subscribe by submitting the code and follow instructions. The package will renew automatically everymonth provided there is credit. To unsubscribe dial *190# and follow instructions.